Pokémon fundamentally revolves around the capture and breeding of magical combat creatures, collectively and creatively called "Pokémon," within a simplistic schoolkid narrative. 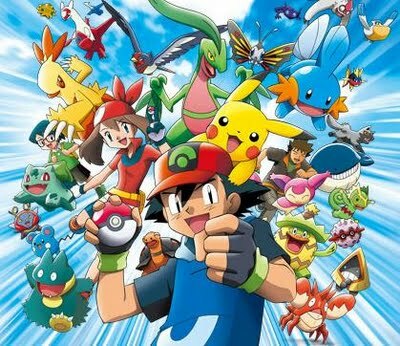 "Pokémon" itself is a Japanese contraction of "Pocket" and "Monster," and is not to be confused with Pocket Monster, a completely different midget-dangerous-animal series that began on keychains and escalated to video games rather than the other way around. The Red, Blue and Green cartridges were thus secondarily differentiated by the small deformed animal minion you were intended to initially select to take into battle. In Red, you could choose from Charmander, a flaming lizard; Squirtle, a turtle/squirt-gun hybrid; or Bulbasaur, a frog with a flower painfully rooted in its spine. 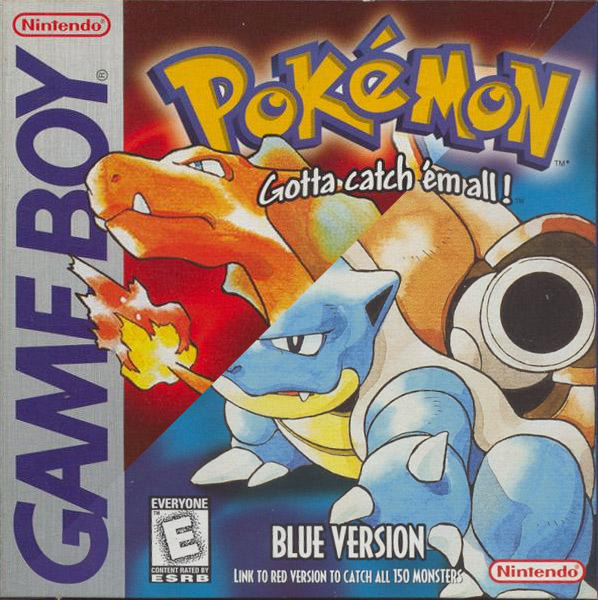 In Blue, you could choose from Squirtle, a turtle/squirt-gun hybrid; Bulbasaur, a frog with a flower painfully rooted in its spine; or Charmander, a flaming lizard. 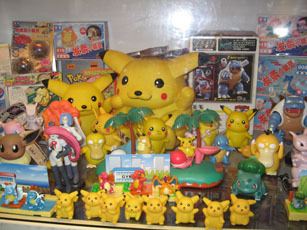 In Green, the selection was switched up and you were allowed Bulbasaur, a frog with a flower painfully rooted in its spine; Charmander, a flaming lizard; or Squirtle, a turtle/squirt-gun hybrid, but as it came out earlier and only in Japan, this wasn't necessarily seen as innovative at the time. 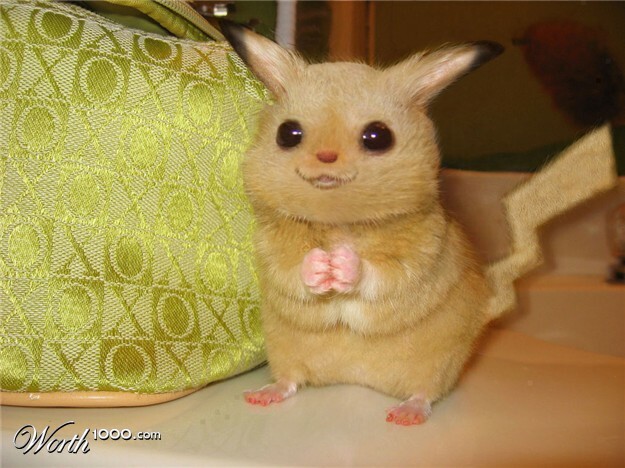 By Yellow, Nintendo finally decided to make the series' flagship electrified chinchilla Pikachu actually available to players who didn't want to bother with playing the game past the introduction. And I do literally mean introduction -- the little punk starts hamming it up as soon as you turn on the system, so by the time he shows up at the start of the game you can already be properly annoyed. 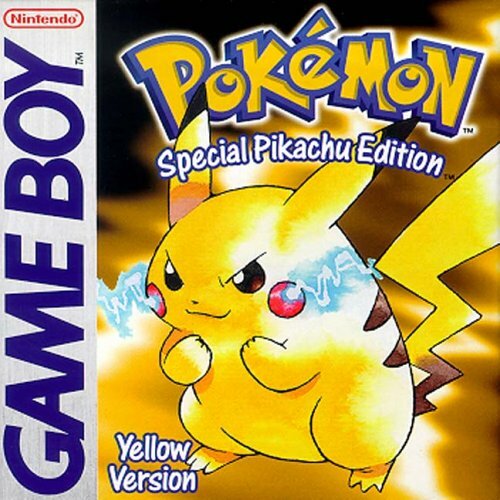 Each version also omitted one or two of the roughly 150 creatures, the idea being to promote addicting your friends so you could trade creatures with them over link cable if you really wanted to complete your collection, couldn't afford a Game Genie, and had enough access to the early Internet to know where to look for the last few rare monsters. 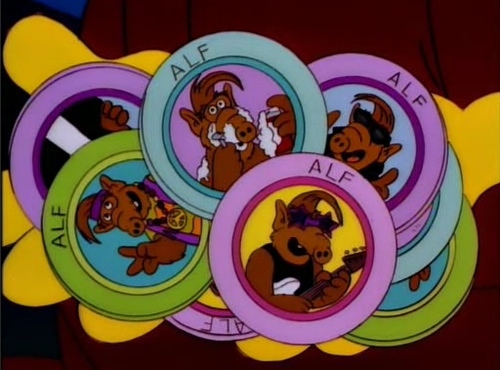 Of course, if you'd already introduced all your friends to POGs and they weren't going to fall for the same trick twice, or didn't have any friends because you spent all your time playing video games, you could always buy your own copy of each version. Battle itself was fairly sophisticated for the era. Each trainer commanded a roster of up to six creatures, one at a time, each with its own stats, level, picture, battle cry, element, personality, wants, needs, hopes, dreams, care & handling instructions, and up to four skills. 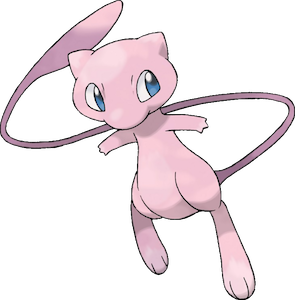 Skills could range from powerful attacks like Mega Punch that were available to heavyweights like Hitmonchan (and Mew), to travel/utility techniques like Fly that were available to "flying" Pokémon (and Mew), to the ever popular Flop Around And Be Useless popularized by Magikarp (but likely also available to Mew if you tried hard enough). Turns were taken, skills were selected, effects resolved randomly, and experience was awarded on victory. Unless your Pokémon realized it was smarter than you, in which case turns were taken, skills were selected randomly, and effects resolved in the separation of you from your lunch money. Beyond that, the game amounted to a progression through various "gyms" of various "trainers," each themed to a particular natural element such as "water," "fire," "rock," "ghost," "dragon," or "psychic." Those among a total of some dozen options formed a giant rock-paper-scissors ring in which, for example, fire beat plant, water beat fire and rock, and psychic was just broken against everything. Each gym would offer the chance to earn a "badge" and the teachable ability conveniently required to progress to the next town (assuming you'd caught a Pokémon who could learn it). If you collected all the badges you could fight a final trainer and become master of the entire universe. Assuming you weren't stopped by your personally-named arch-rival or by a group of "evil" Pokémon trainers called Team Rocket -- presumably because Rockets represent human technology and war, the antithesis of the animal kingdom. Once you succeeded at becoming master of the universe, you could either continue as a Nintendo zombie in the Sisyphean task of collecting every remaining Pokémon ever released (and buying a Game Boy Color, Game Boy Advance, Nintendo DS, Nintendo 64, GameCube, and Wii along the way), or you could content yourself with the accomplishment of having become known to your entire school as that loser who doesn't even have all the Pokémon yet. But that really was the Nintendo Evil Marketing Department genius -- not only did they release what is arguably one of the most content-rich party-based character-customizing RPGs ever to grace classic Game Boy (the only other near-contenders being Square's Final Fantasy Legend series), they followed up with a media bombardment to all 5 senses of their target demographic: toys, foods, cartoons, collectible card games, and "Pleeeeease? Why not? All my friends have one!" The result is an ever-expanding empire of Hal-spawn... or perhaps GameFreak-spawn... extending well into this day and age, with no signs of stopping any time soon. At least, one can assume, if Nintendo's bioengineering lab ever brings Pokémon into real life, there will be enough collecting and breeding enthusiasts out there that so long as Water and Lemonade remain available, the world will never again need to worry about its food supply. What are your feelings about the neverending Pokémon craze? Have you played any of the games in the franchise? Are you compelled to catch-'em-all? And were you caught in the midst of the craze at the very beginning, or a late arrival? Let us know in the comments.